Some of my customers don’t know where to start. They open their closet doors and view the disorganization of the photos and videos and then close the door again. It seems overwhelming. But they want to experience again the memories that these photos hold – to see them displayed on their computers during the day, to share with family members, or to archive them for future generations. Actually organizing and labeling the photos isn’t that difficult. Here is a step-by-step guide to get things in order so that Picture This! can scan in your photos or slides for you. We offer consulting services to help you with this task, but it is one easily done by you if you have the time. Get several cardboard file folder boxes, some hanging files and individual file folders. This works well if you have varying sizes of photos, or perhaps some mementos as well. If all of your photos are 4 x 6 inches, then archival photo boxes work well. You will need a permanent marker to write on the file folders or the index cards in the archival boxes. Some small Stickie notes might also come in handy. Find a working space that can be used for about 2 -3 weeks in your leisure time. A dining room table or large desk works well. Pull out all of the photos and photo albums. Don’t forget all the treasured photos that are in frames on the walls. You have to decide on one of two methods to organize your photos; either by year that the photo was taken, or by person or family that is in the photo itself. If most of your photos are in albums, they might be more easily organized by date and event (example: 1964 – Kate & Bill wedding). If your photos are loose or in envelopes as they were returned from the photo developer, then sorting them by person might be the easiest. OR just label each by year that the photo was taken if you have that information. Place the files into the file folder box or open the archival boxes. Open the first envelope of photos and pull out the photos. As you take out each photo, place it in the appropriate file or envelope. If you are using archival boxes, then mark the index cards in the boxes with these categories and place the photos behind the appropriate index card separators. Take a few moments to reminisce, but try to be expedient about sorting the photos. After they are scanned, you will have much time to enjoy the images and memories. If there isn’t an existing folder or index card, label a new one and continue. If there are loose photos that you don’t want scanned, you can indicate this by keeping them in a separate box or by giving us direction about avoiding bad photos, all photos that don’t have people in them, or duplicate or similar photos. If photos are in an album, label each album with the year or event so they can be placed in folders on the DVD after they are scanned. There is no need to remove the photos from these albums – Picture This! can remove them and replace the photos for most photo albums. If there are some photos that you don’t want scanned, place a small Stickie note on these photos so that we know to skip them. Mark framed photos with a sticky note so that they can place in the appropriate folder on the DVD. Slides are usually in trays or boxes. Leave these slides in the box or tray and label each box or tray if they are not labeled. It is harder to sort out slides that you don’t want unless you have a slide viewer. Most of our customers give us direction about scanning in slides (see note 6 above). Picture This! 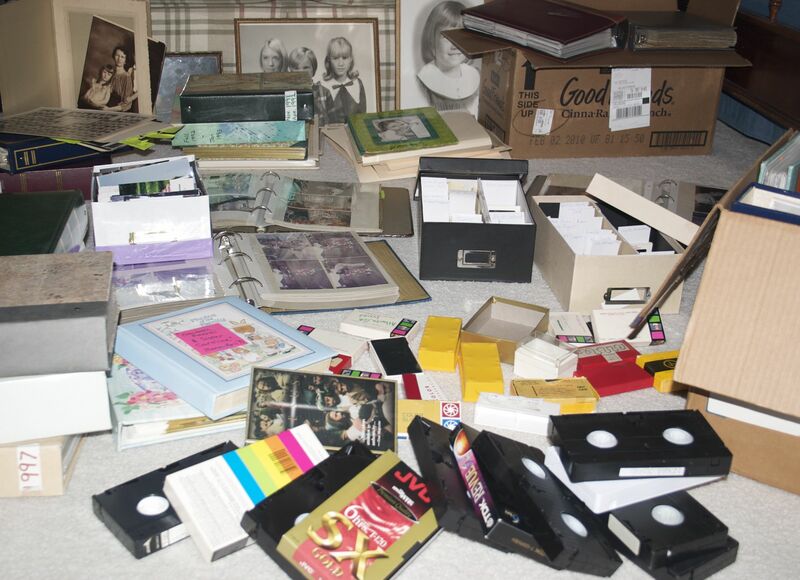 will return your photos to you in the boxes or folders as you sorted them. The color optimized scanned images are given to you on a DVD by folder of person or year for you to place on your computer, share with family, and archive for safe-keeping. Our basement was an integral part of my childhood. It was the place in our home that I could get away from everyone and experience solitude. It was my time in my childhood to figure out who I was as a person with some genuine thinking and reflection. It was also a place to have some fun with my friends. Our house an old farm house, was only about 1200 square feet and was built by a woman in the 1920s. The rooms were small and crowded – especially with 4 other siblings. I shared a room with all my sisters. We had a bunk bed with a trundle bed under it. The closet was only 3 feet wide and 2 feet deep – hardly enough room for all of our clothing and toys. Our house had one bathroom and it the size of a closet. The living room and kitchen were filled with the busy lives of 7 people. And while we had many fun times in our house with my family, (See: Twinkle of His Eye ), at times I needed to be alone. The basement was my refuge. The piano that I learned to play was an upright piano, and it was located in our basement. I spent many hours playing the songs of the day. My favorites were songs by Hermit’s Hermits, Paul Simon, Jim Croce, Sebastian Bach, Rachmaninoff, and many Beatles songs. When I went downstairs to play the piano, I was alone and I could escape there for hours. The basement wasn’t heated, in fact it was ice-cold and my fingers weren’t very nimble. But I would warm them up on scales and arpeggios. And I wasn’t always totally alone. The mice and rats would sometimes be awaiting my performance. I went downstairs with the same mantra – which my Mom and Dad would mimic – “Get Mouse! Get Mouse.” The critters would scatter and then come back out after I started playing. It was a trade-off. I could find solitude in that basement, even if I had to share it with the basement creatures. When my brother was in high school, we turned one of the rooms downstairs into a rec room. My Dad placed paneling on the walls and we painted the floor with a brick-red color. My Dad put a ping-pong table in that room, added an old sofa and we now had a place to entertain our friends. I became quite good at ping-pong since this was the only place in my home to take my friends. 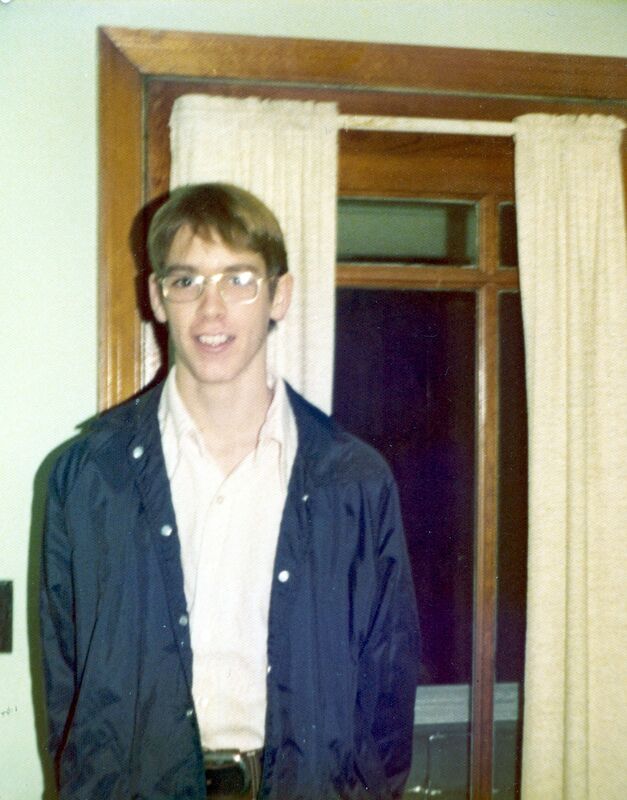 My first kiss was in the basement after a ping-pong match. I won that match with Danny – and when changing ends of the ping-pong table, we met in the middle and kissed. The next time my boyfriend came over to play, I also won the match. But this time we met in the middle, and my boyfriend broke up with me. I had several slumber parties in high school in the basement. We turned the other rooms downstairs into a haunted house, complete with spider webs and hanging ghosts. It was inherently spooky in our basement with several dark rooms, so we didn’t need to do much to create the atmosphere. I imagine that basement is still haunted with shrieks of laughter and fright from teen-age girls. The basement was not just mine. My Dad used the basement for his many foodie experiments (See: Schlumgolian ). The heavy crocks downstairs held the ingredients for the homemade sauerkraut made from our garden cabbage or ground home-grown horseradish. It was cool down there and the food from the garden stayed fresh for months. We had a freezer downstairs that held our side of beef that was purchased from the neighbor farmer – as well as my Dad’s stash of cash. My Dad set up a wine-making rig for making dandelion wine. After several months, we tasted – and spit out – the new wine. It was awful!! We had a fruit cellar in the back room of the basement and had rows of canned vegetables in mason jars. We wrapped apples in newspaper and kept them in the fruit cellar for extra months of “fresh” apples. My sisters and I hated being asked to retrieve a canned good from the cellar. It was the darkest room in the basement with only one naked light bulb. We knocked down spider webs and avoided mouse traps to find the appropriate Mason jar there. 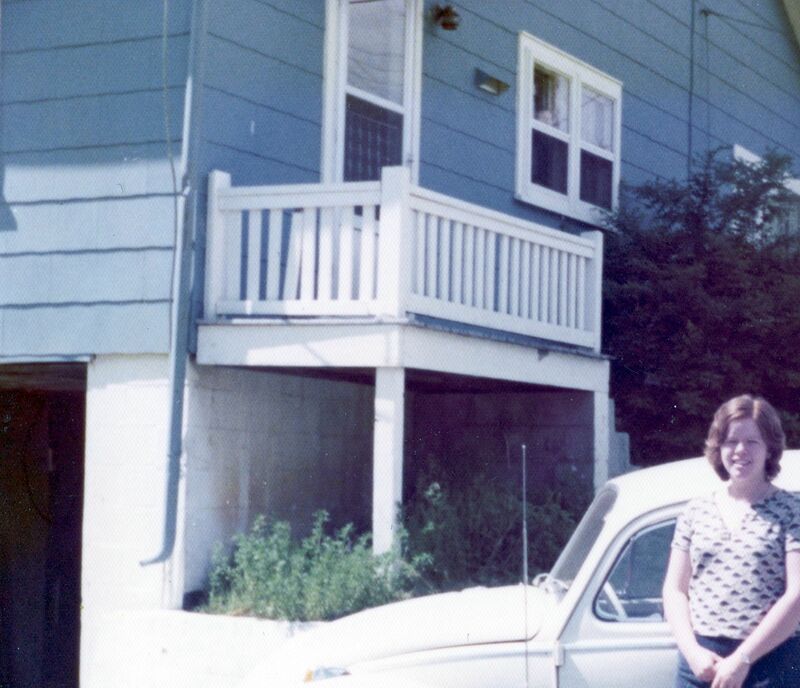 When I think of my childhood home and my memories there, I loved the boisterous kitchen and living room, the rooms where I mostly interacted with my family. But I also loved the basement. It’s where I could go to take care of my soul and find whispers of truth. It was the space where I felt least alone. For a family that didn’t have much money (See My Dad – the Original Organic Farmer ), we sure did have fun on Saturday nights. Friday nights were taken up with football or basketball (See Football Boogie ). Saturday nights were reserved for playing cards or board games, sometimes with just our family, my aunt and uncle, or family friends. Before I was 9, I learned the game of Pinochle and the special set of rules that my family played by. I don’t think it was an option NOT to play – but I enjoyed the shenanigans so I never tested what would happen if I didn’t want to join the game. 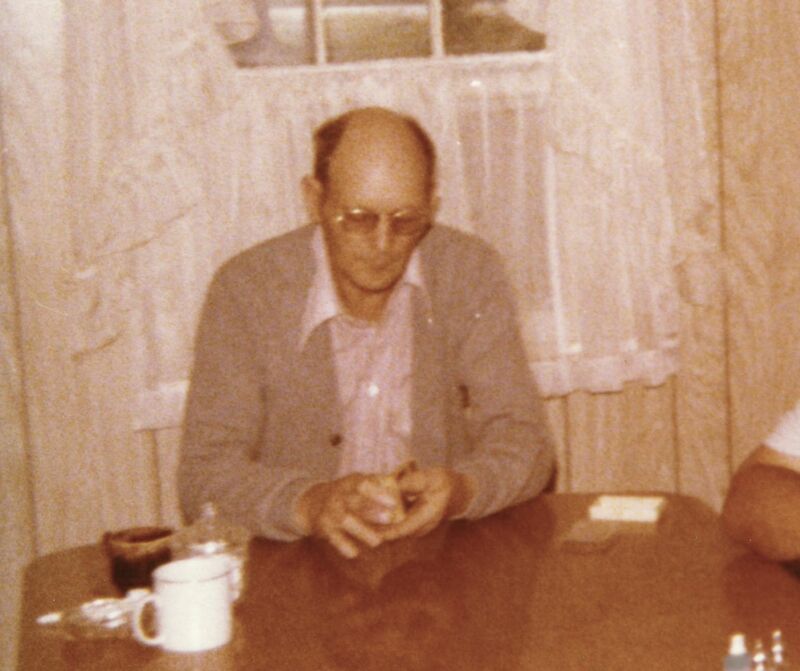 On Saturday nights, my parents either played cards with my Aunt Mid and Uncle Jim or Don and Jean Shulaw. They took turns going to each other’s houses and my brother and sisters enjoyed it wherever the games took place. Now, to be exact, the kids were not invited to play when we got together with another family. Occasionally however, I would be asked to come to the table and “take a hand” so that the host could get the food ready to serve, or tend to one of the kid emergencies. It was there I learned most of my first cuss words and slightly off-color jokes. I observed not only the game of Pinochle, but how my parents acted a bit differently when around their friends. If my Dad wasn’t getting good cards that night, he would declare the cards were sticking together. He would get up and go get the baby powder to coat the cards to make them shuffle smoother. My Aunt would often get upset at the teasing at the card table and throw down the cards in a huff. I heard “Dammit Fred” so often I thought my Dad had two first names. Almost always – though it wasn’t a sure bet – they were all laughing again by the end of the night. While our parents were otherwise occupied, we could play at will and with slightly less supervision. Mom didn’t seem to care if we messed the house up a little more. My sisters and I built tents with sheets and blankets with our cousins or played basketball outside in the dark. To this day, I am a very good shot at basketball and it’s because I played “H-O-R-S-E” for hours with my cousin Brian on those card-playing nights. Sometimes it was so dark out that he’d throw me the ball and it would hit my face because I couldn’t see it. We also played outside barefoot, engaging in hide and seek and freeze-tag well into the night. My parents would stop their game long enough to make sure that we washed our very dirty feet before we came back into the house. They returned to their cards and we returned to our cousins. There was no set bedtime on those nights. One of the best things about having company over to play cards was the food that came with the get-together. We were never allowed to have snacks or soda pop otherwise. But if cards were involved, we could have Pepsi or root beer, accompanied by potato chips and home-made onion dip. Mom would make her orange jello with pineapple dessert topped with cream cheese and marshmallows. I still sometimes savor the taste of Pepsi on ice in a tall Tupperware cup. As the bubbles explode when I drink it, I have flashbacks of the memories of those game nights. When I was in high-school, it was easy for me to bring my boyfriend to my house (See One Sure Thing) and have him join in our family card game. There was a structure already in place that he could slide into that eased him into being a part of our family. He endured my Dad’s teasing about how inept his card-playing was. That was Paul’s initiation into my family and he passed the test. My father was endeared to him when Paul declared the cards were sticking together and jumped up to get the powder to coat the cards. Finally, someone understood my father and his solution to unlucky cards. We varied the games through the years. We added a marble game called Aggravation, we became experts at Euchre, or we played a game called Shanghai. This game was a form of rummy that required differing combinations of sets and runs. The game itself wasn’t the important thing. What mattered was just getting around the table engaging each other in some sort of activity. We just really wanted to be together. They say you must accept the cards that life deals you. I was dealt a very blessed childhood. My mother grew up in the Cumberland area of Tennessee during the Depression. They had no electricity or running water – unless you counted the mountain spring that ran beside her house. My mother was the only female in her house and therefore was in charge of most of the household chores. She cleaned, did the laundry, and cooked for her older brothers and father. According to my mother’s story, all the boys had to do was to provide the wood for heating and cooking. They were free to play all day long. 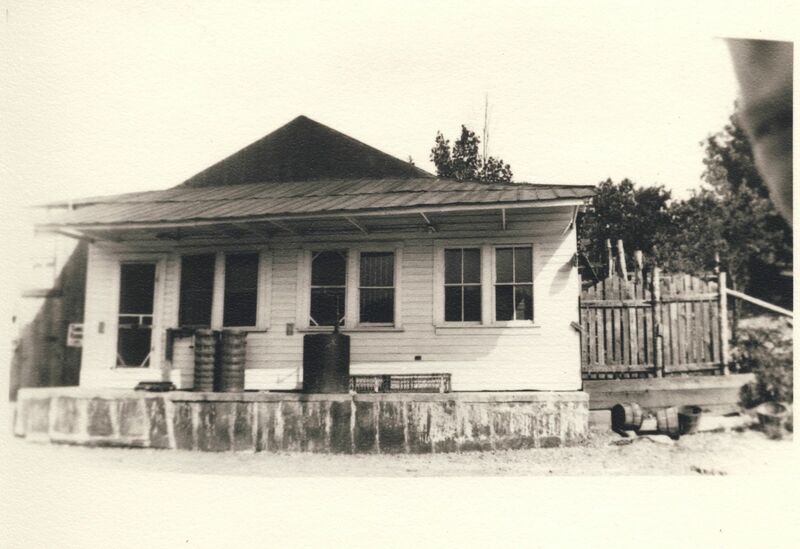 Her father was a teacher in a one-room schoolhouse and also owned a store that was adjacent to their home. His wife – my grandmother – ran off with another man when my Mom was 6 months old and proceeded to rob a train. My grandmother served 4 years in prison. (See Archive the Photo AND Tell the Story My grandfather wasn’t home much due to his jobs, but managed to be a rather good single-parent to his 3 sons and young daughter – my Mom. It was a hard life for them all. Birthdays were very special days for my mother. It was the one day that stood out among the difficult days in her life. It was the one day when she was given the day off from her chores. It was also special to her because her father gave her a dollar bill and told her that she could spend it on anything she wanted in the store. What my mother wanted was candy. It was a precious commodity in the hills of Tennessee, but for my mother’s birthday, my grandfather would stock up on the sweet stuff in his store. My mom was a smart young girl and her father’s favorite. She cleverly asked her father to keep the dollar bill for her for safekeeping. She spent a little bit at a time. For one whole year, all she had to do was to approach her father and ask him for a little bit of her birthday money. This birthday gift might explain some of the dental problems that my Mom had later in life. But it also explains how her father made her life just a little bit better for my mother when she was growing up. And it only cost him a dollar a year. My Mother told some stories that were just a bit difficult to believe. Now, I’m not saying that she was fibbing or anything. They are, certainly, her stories and her history. I’m just saying that they seemed a bit far-fetched. 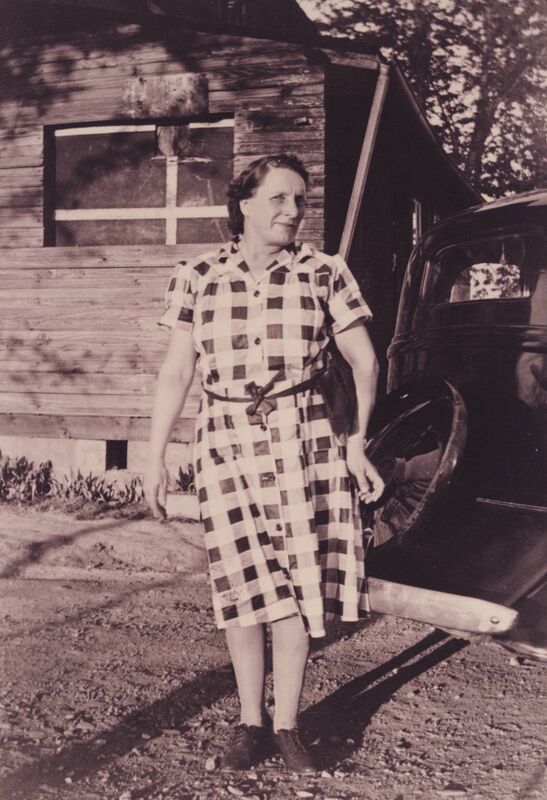 Several years before my mother died, my sisters and I persuaded our mother to travel with us to Tennessee. We wanted to hear the stories that she told in the environment that she grew up in. 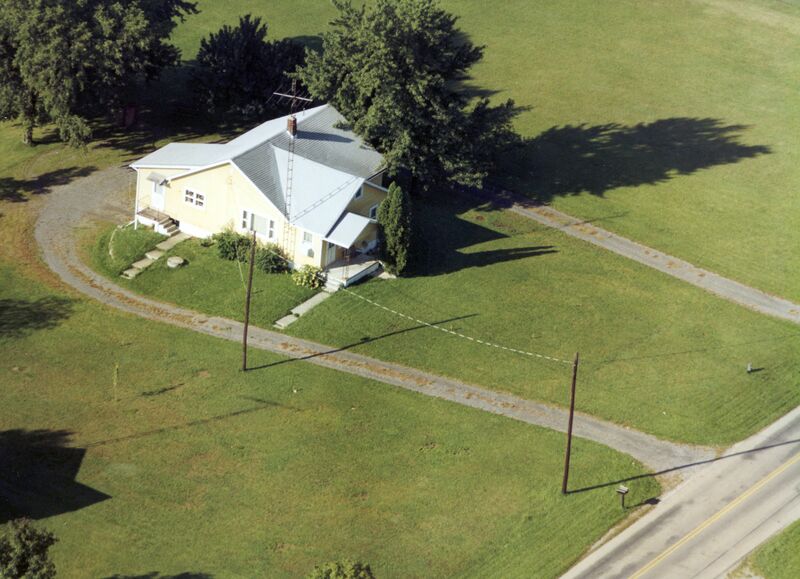 We wanted her to point out where her houses used to be, where her father’s schoolhouse was located, and mostly we wanted to re-live her childhood years with her. What an adventure for us all. We had always heard about the creek that ran behind my mother’s house when she was growing up. We knew my Mom was terrified of bodies of water. She reasoned to us that when she was 4-5 years old, the creek behind her house flooded. Her Dad couldn’t swim and her brothers Warren and Bill had to break the pigs out of their pen. The next morning, the water ran very swift between their house and their neighbor Nan’s. Warren swam across the swift water, got Nan’s horse, and rode everyone across to eat. It was necessary to get to Nan’s house since she fed the family after my Mom’s mother took off with another man and robbed a train (See: Living on the Edge ). 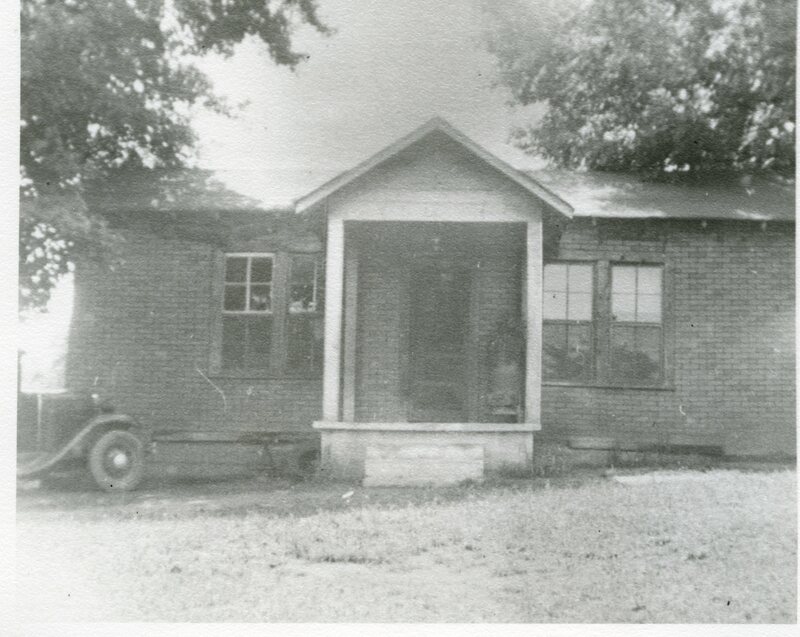 They would have a big breakfast at Nan’s and then she would pack their lunches — sandwich of cold biscuit and cold meat or pinto beans and cornbread. When we traveled to the site of this infamous story with my mother, my 3 sisters and I could see where her house had stood and couldn’t see a creek or river of any sort. We questioned our mother about her version of the story and perhaps the creek was only a few inches deep (but probably seemed deep to a 4 year old), it started to rain. The rain flashed off the mountain and filled the ditch behind the homestead in a hurry. Perhaps there was merit to her story after all. While we were standing there at her old home site, she pointed up the road where the one-room schoolhouse used to be where her father taught (See: Campbell Mountain). 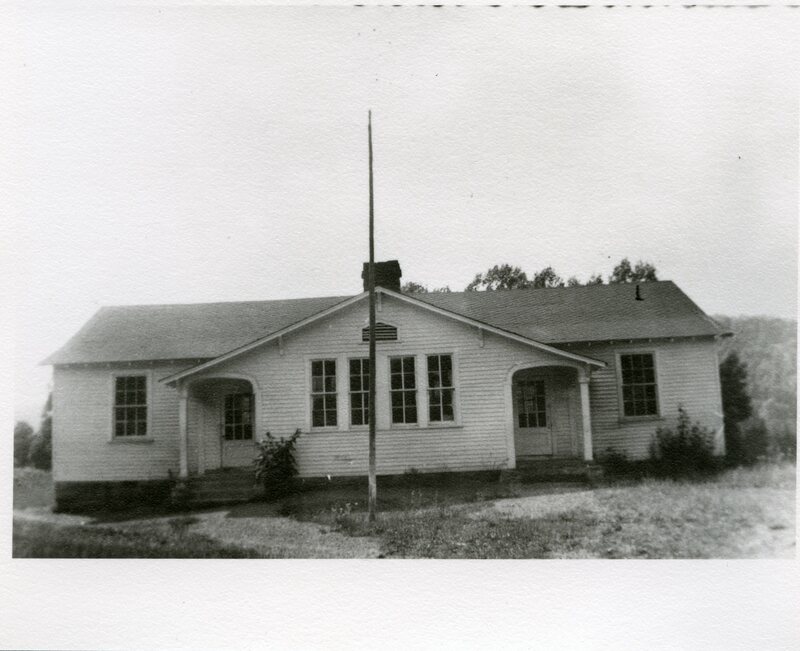 It was a gravel road and the road was named “Campbell Road” after her father in honor of his years of teaching at this school. My mother started relaying the story about going to school with her father when she was four years old. There wasn’t any childcare at her home since her mother moved out. The desks in the schoolhouse were 2-person desks but she had her own desk and her own schoolwork to do. That is, unless one of the older students misbehaved. In that case, the misbehaving student was moved to the empty seat at my mother’s desk. Rufus, it seemed, occupied her desk as often as he did his own. And when Rufus was at my mother’s desk, he tormented her relentlessly. My mother got in trouble then for the commotion that was caused. She told us this story and she was getting intense in the re-telling. Her arms were flailing as she was standing on the side of the road with us. And as she spoke, an old model Ford – perhaps a 1955 – drove slowly down the mountain on the stone road. This car slowed down and peered cautiously at this group of women – my sisters, Mom, and I – by the side of the road. He said, “Mary?”. My mother remarked back, “Rufus?”. We couldn’t believe that Rufus, the tormentor was there in person. It must have been a set-up, we thought. Again, she proved that this story indeed was historically correct. My mother was the youngest child in her family, with 4 older brothers. During the Depression, she told the story about never having a dress to wear. Instead, she wore hand-me-down bibbed overalls from her 4 older brothers. According to her tales, she was 13 before she owned a dress. The week that mother died, her older brother came to spend some time with her and with us. As my mother slept, I asked my Uncle about this particular story. He said that it wasn’t the same memory that he had. My mother had twin cousins who were 2 years older than she was and they had some money in their family. They donated their dresses to my mother throughout her childhood. He said that my mother was a tomboy and that she refused to wear the dresses that were given to her. I later found a photo of my mother when she was 8 years old. And she was wearing a dress and leggings. As Frank Delaney says in Tipperary “Memory is a canvas – stretched, primed, and ready for painting on. We love the ’story’ part of the word ‘history,’ and we love it trimmed out with color and drama, ribbons, and bows. We always decorate our essence.” My Mom was entitled to the ‘story’ part her family ‘history’. Picture This! will help you create the gift of a lifetime. The Untold Story . . .
For every story told in my family, there are innumerable mysteries. I wish I had asked more questions of my relatives when they were alive to get answers to those burning questions I have now. For instance, my father’s mother – the one who had 14 children (see Being a Middle Child, #7 of 14)- once told me when I was a teenager that she traveled in every state in the United States, except 2. She died in 1981 at the age of 84 and to my knowledge she lived in poverty for most of her life. My grandfather died in 1962 and my grandmother never re-married. I don’t know when or how my grandmother did her traveling. I don’t doubt that she did it, but it surprises me that she had the desire to see our country and that I never heard of her travels. I went to visit my mother’s mother in Washington, D. C. in 1983. Ruby left my mother’s family when my Mom was a baby. She reportedly robbed a train and served 3 or 4 years in prison. (see Archive the Photo AND Tell the Story: Ruby)When I visited my grandmother, the woman who I only saw 2 previous times in my life, I was polite with her, caught up on her current life, let her visit with my 18 month old son, but didn’t ask her too questions about her life. For example, what she did after her prison sentence, what her life was like when she was growing up, how she met her husband – my grandfather, and was it true that she was a secretary for a congressman in Washington, D.C. She did tell me that she grew up Catholic, and that her childhood wasn’t a happy one. She had a doll baby that belonged to my mother that had a ceramic face – and I didn’t ask how it survived her years in prison. I wish I could have that visit over again. My Dad was in World War II (see The Front Line) and his war experience at the age of 20 in Europe in the midst of war, must have been incredible. 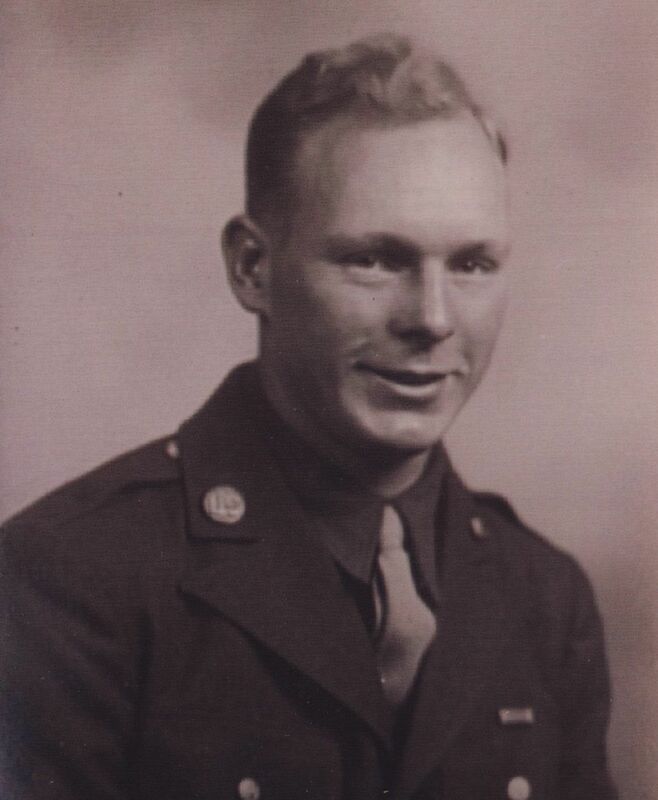 My sisters and I asked him several times about his war years, but he refused to talk about it. We knew he was injured 3 different times (see blog), but he would only talk about the funny things. We have re-created his trek through Europe and the battles that he must have been in, but it would have been rich to hear his impression of this personal, but historic adventure. I relished the 50th anniversary of World War II when veterans of this war finally talked about their years in the war. I came across a website a few months ago that features the untold story. http://www.AwkwardFamilyPhotos.com accepts personal family photos and stories that leave the website visitor wondering about the circumstances surrounding these submissions. 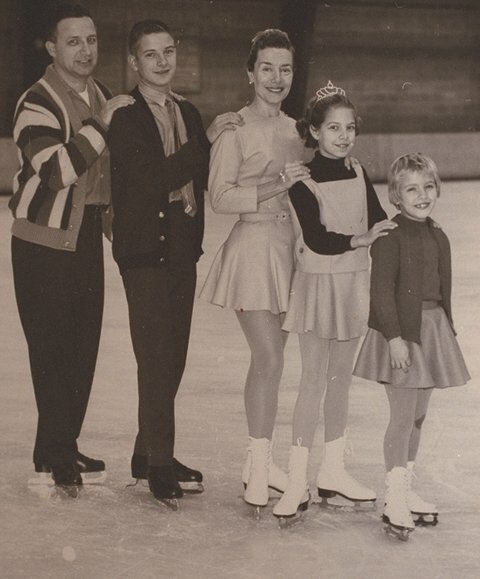 For example http://awkwardfamilyphotos.com/2010/02/28/all-skate/ shows us a family skating at a local ice rink. I can only wonder about the tradition leading up to this photo. <Ancestry.com® is having a contest called The Ultimate Family History Journey™ to help their customers find answers to their family mysteries. The winner gets $20,000, 8 hours with a genealogy expert, and additional experts to fill in the blanks. Perhaps that’s how I might get some answers to my questions. 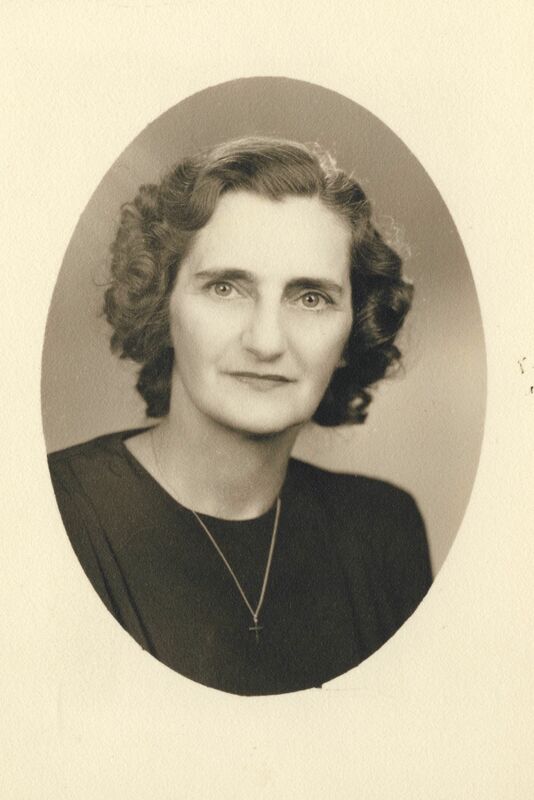 It isn’t easy being the family archivist and in charge of database of the family stories, documents, photos, and videos. It takes years to research, collect, and verify the family stories, photos, and videos. It also is a mammoth effort to organize this information with a timeline and familial relationships to give to generations of family members. Where do you start and how do you get a handle on this task? Take a look at these tools that will help you as you take on the role of family historian. Start by asking around the family for stories and photos. Interview your older relatives. Let them know that you are starting the project of gathering and archiving the family story. My Aunt Bert passed along letters that my Dad had written her in World War II when he was just 19. 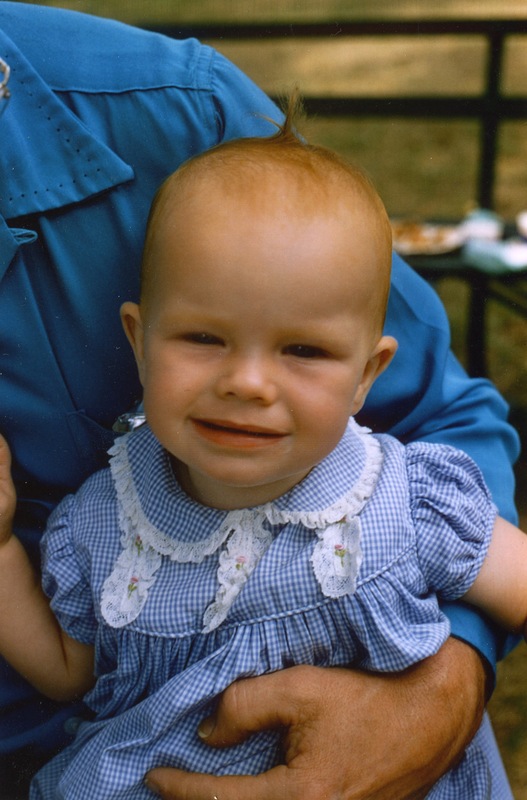 And the only color photograph of me as a child was given to me by my aunt after my parents died. If your relatives don’t remember what might be in that memory box in the closet, ask them to look. Or sit down with them as they go through the box and ask them detailed questions about those photos, making notes as you discuss or set up a video camera to record the details of the conversation. Look online. The internet is a haven of great information. Cyndi’s List of Genealogy sites has a plethora of links that will help you in your search to find the missing information and also tools to help you organize it. 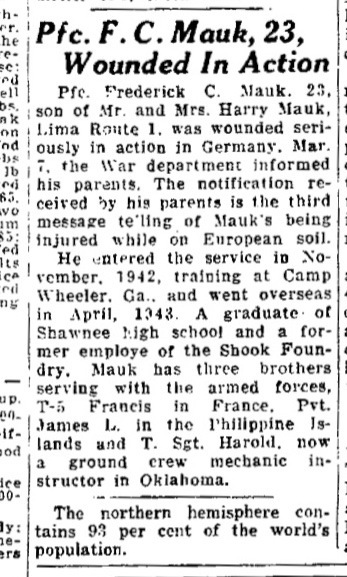 Genealogy Bank is the largest database of historical newspapers from around the country. I found an article from 1897 about my grandfather as a teenager. I also found about 25 articles about my father growing up. It is not a free database, but they do have short-term subscriptions. Some software packages enable accessing online databases, such as census information. Here is a review of the features of the Top Ten genealogy software packages for a PC and here is a spreadsheet with a listing and features for the Top Ten genealogy software packages for a Mac. Don’t forget about the Ancestry.com as well. It is probably the best known aid in online searches for information. They have discussion groups that allow access to family members only. Get your kids involved. The Unwritten – Saving your photo Stories for the Future is a website that focuses on children. This website has excellent tips and teaching components for children. If family members live around the country, set up Google Docs, which is a sharing site where all family members can access the same document. Use this document to write about your ancestors and family and encourage others to add to it. Emphasize that no one is right or wrong about the information – that each entry is just a piece of the puzzle. Everyone thinks differently and has a separate point of view because of his life experience. Pose questions and allow all to answer. Some software programs also allow private forums or discussions that will allow the same sharing among family members. Picture This! is a company in Austin, Texas that provides a professional service that helps you sort through your heritage photographs. Picture This! digitizes and restores your photos with extreme gentle care. After Picture This! completes the scanning, they return a DVD with folders of organized heirloom photographs. Often family members add a .pdf document to the folder of photos to complement the photos with the family story. Videos – reels and tapes – are also digitized by Picture This! for archival purposes and to share with family members. DVD slideshows DVD slideshows and Memory Books are also great options and gifts for family members. 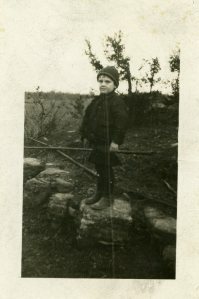 Blogs are great way to pair the family story with photos. It might be cumbersome to write a book, but taking each family story, one at a time, and presenting it in a blog to share with family members is manageable for the writer and for the reader. Picture This! 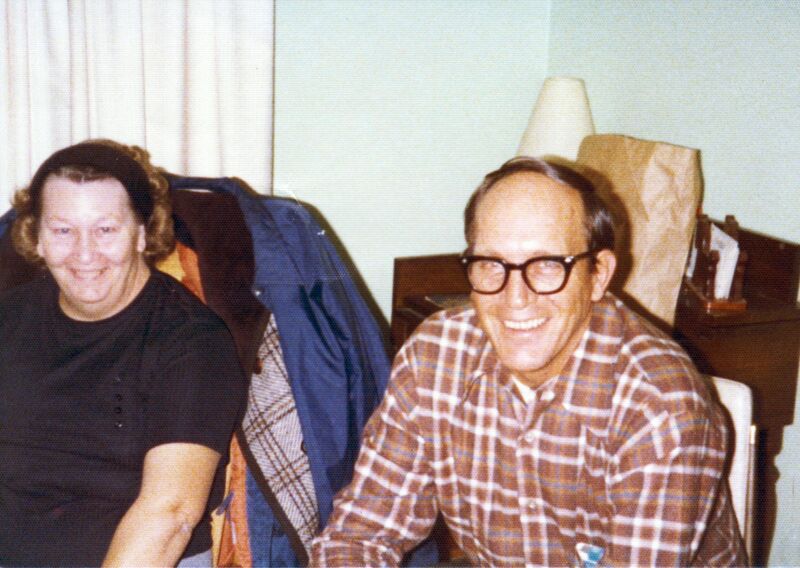 has a blog called Sharing Your Family’s Memories dedicated to telling the family story. Other examples and helpful tips for writing a blog is found at Writing Your Memories and Genealogy Wise. Triggers for writing about family stories is found in a booklet called “Memoring my Memories” by Emily Aulicino. WordPress and Blogger are both free online blogging software sites. iPhoto is a Mac photo software package that enhances photo organization with facial recognition and editable metadata. This software organizes photos by album, by event, or by person. Memory Miners goes one step further and uses genealogy software to integrate heirloom photos into the timelines and family tree. There are people views and map views and it creates a GEDCOM family tree complete with photos. Add audio and video recordings with text annotations to complete the family story. Story Corps is an independent nonprofit project whose mission is to honor and celebrate one another’s lives through listening. They collect stories across the country. They have a list of questions to use when getting started with your interview, and they have a mobile bus that travels from city to city with equipment to make a recording of your family story. LifeStories Alive makes personal history videos for families using their heritage. They create family heirloom in video – digitally mastered records of life stories with personal accounts, photos, and mementos of family history. Tell me Your Story is another company that preserves your family history. Located in Austin, Texas, this company produces a book from oral interviews that are audio taped. Photos and documents complete the pertinent story. An embossed hardback book on archival paper is the finished product. Contact them directly to get more information. After doing all the research and organization, don’t forget the last step. Put this information on reliable media and have it stored in more than one place. Archival DVDs last 100 years if stored properly. Make sure to back up any information that you have online. 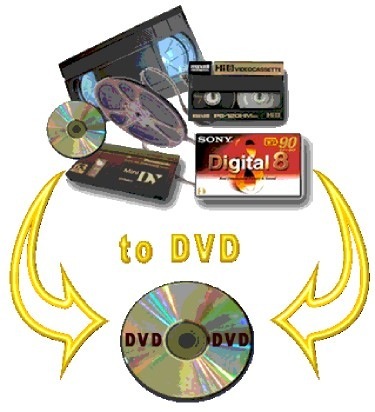 Make duplicate copies of photos and videos to a DVD or hard drive. Send this second copy to a place outside your house (sister’s house or safe deposit box) in case of fire. Don’t rely on photo sharing websites for your backup. The images stored online are usually small and not large enough for archival purposes. Generations from now, our children and grandchildren will not tiptoe into our closets and retrieve “the box” of photos and documents that tell our story. With a bit of concentrated effort and some guidance from these resources, our stories will be richer and more accessable for those who are seeking their family story.